If you haven't noticed yet, I kind of have a thing for crystals, with that background in paleontology and all, so it should come as no surprise that there are some crystals I love to use during hedge riding. I mentioned during my Hedge Riding Series that I have a hedge riding sachet, a small bag that contains a series of items that helps me during my hedge riding journeys. I mentioned some of the crystals I keep in that sachet, and I would like to expand on that topic today. My hedge riding sachet is ever changing; I add and remove items frequently based on what I am trying to do, but it always contains crystals. Usually, I preface articles like this with a statement that you don't need any items but yourself to hedge ride or perform magic. 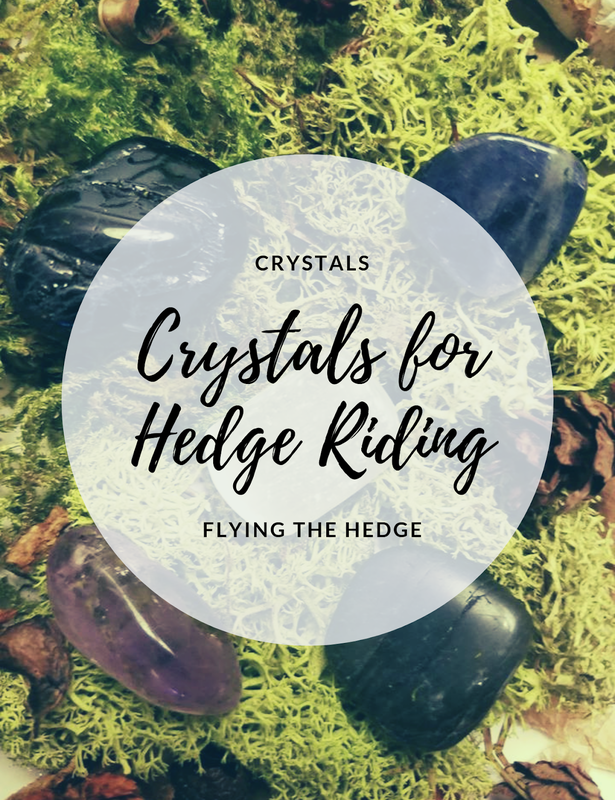 This is the one time where I am not going to say that because crystals are an important aspect of hedge riding. Not only can they help you reach an altered state of consciousness, but they also help ground your body and soul to our plane before, during, and after hedge riding. Now, you don't have to have every crystal on this list, nor do the crystals you choose have to be limited to this list. There are dozens of crystals that can help you on your flights, and you should always pick crystals that speak to you, even if a book doesn't mention they can be used for traveling between the realms. Correspondences should partly be based off your intuition, not just what some book or online article says. This list contains the five crystals I work with the most during hedge riding, in no particular order. 1. Labradorite: Until polished, labradorite is a fairly dull, unsuspecting crystal, but once polished it takes on a rainbow of colors. Labradorite was once believed to be frozen fire that fell from Aurora Borealis, thus associating it with the heavens and astral travel. It acts similarly to amethyst in that it can open you to psychic visions, but unlike amethyst, it can be used as a gateway to past lives as well. In Norse mythology, the rainbow bridge, Bifrost, was the gateway to Valhalla, which is sometimes symbolized by this crystal with rainbow hue, thus allowing you to travel between lives while hedge riding. I use this crystal when I am seeking answers from my past to gain insights into my future. 2. Amethyst: So I talk about amethyst a lot too...I know, but this stone is so versatile, plentiful, and cheap! I'm all for saving money when it comes to witchcraft. Amethyst is a great stone for hedge riding and has been regarded for hundreds of years as the crystal of psychics. I place amethyst on my forehead during hedge riding to help open my mind to psychic visions during my journeys. This crystal is commonly found in my hedge riding sachet, especially on days where I am finding it difficult to concentrate enough to hedge ride. 3. Selenite: I'm sure many of you have this crystal laying around, as it's commonly used to make crystal wands. Selenite is clear, striated gypsum named after Selene, the Greek goddess of the moon. Due to this connection to the moon, selenite can be used during hedge riding to "reach the stars," particularly when traveling to the Upper Realm of the Otherworld. Furthermore, selenite is known for its calming properties, allowing you to reach an altered state of consciousness by quieting the mind. Even better, selenite filters messages, due to its striated nature, thus allowing you to connect to your higher self and the spirit realm, especially angels. I use selenite when I am traveling to the Upper Realms or when I am having trouble hearing the messages the spirits are trying to send me. Sometimes I even use selenite after hedge riding to help me make sense of the messages I received. This isn't found in my hedge riding sachet too often, but it is almost always on my altar waiting for me to get back from a journey to aid in my understanding of the things I saw and heard while away. 4. Iolite: This deep violet crystal was commonly used by the Vikings as a navigational tool because it could be used to filter sunlight, allowing them to look at the sun without damaging their eyes. Because of this and its brilliant color, Iolite is a great stone for hedge riding. You can use it as a navigational tool on your spiritual journeys and facilitate spiritual visions. Depending on how it is cut, Iolite can appear yellow or clear as well, so don't worry if you find it in colors other than blue-violet. I use Iolite when I am seeking to travel to new places during a journey. 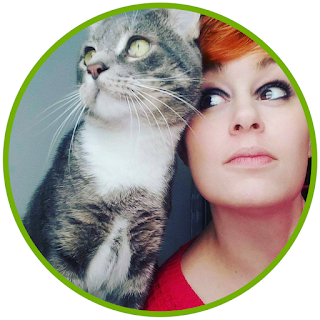 I tend to stick close to "home," but there are times I wish to explore deeper into the Otherworld so I make sure to take this crystal with me to help me navigate uncharted territories. 5. Black Tourmaline: I talk about this crystal the most, probably because it is my favorite crystal of all time. I really should modify my 10 Crystals Every Witch Should Have post to include black tourmaline instead of obsidian. When I first got this crystal, the moment I touched it I felt an instant connection. The love and protection that radiated from it were overwhelming. I often find myself looking for it in times of stress because it's so calming. While I know it sounds strange to some, I know beyond a shadow of a doubt that this crystal loves me deeply. But I digress. My black tourmaline is the one thing in my hedge riding sachet that never changes; it is always in my bag. Before I ride I take it out and ask it to keep me safe while I hedge ride. I place it on my chest during my journeys and when I come back its the first thing I touch to ground myself. Black tourmaline is known for keeping you safe physically, emotionally, and spiritually, making it an amazing hedge riding companion crystal. There are other crystals that you can use for protection and grounding during hedge riding, so if black tourmaline doesn't speak to you like it speaks to me, find one that does. Other great options include jet, onyx, obsidian, and hematite. As I mentioned before, this is by no means a complete list, just my five favorites for hedge riding. For those of you who hedge ride, what crystals do you like to bring with you? Please leave your suggestions in the comments below so we can grow this list to help other witches on their journeys!